James Bond’s relationship with China is a complex one befitting the shifting nature of geopolitics and transnational sagas. As Fleming sat down to write 'Casino Royale' in 1952 he had a clear idea which countries were the UK’s allies and which countries were its enemies. He explicitly presented the Soviet Union as the West’s major threat as, indeed, it was, but he all but ignored the growing presence of China in his great power calculus. 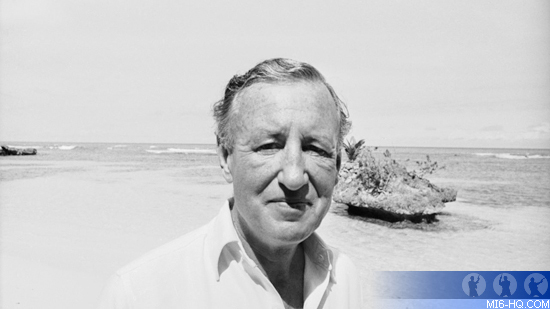 Fleming didn’t focus on China in any of his novels’ plot beyond an occasional scant mention. This is odd; for even by the time, Fleming penned the first Bond novel China was a significant concern for the UK and its allies. Chinese and British blood had been shed even before the UK recognised the Peoples’ Republic of China in 1950. A short, hot engagement with the Peoples’ Liberation Army in 1949 left the British frigate HMS Amethyst with 22 of its crew dead and a further 31 wounded. Further casualties were incurred when three more Royal Navy warships were fired on as they attempted to rescue Amethyst. Such tensions led to the UK nervously expanding its military presence in Hong Kong. Even more importantly and significantly, Sino-British relations further deteriorated in the early 1950s as UK forces began to engage Malayan insurgents who were supported and inspired by China. Then, the Cold War took a seriously hot turn as Chinese and British troops repeatedly clashed in combat during the Korean War. It was clear that the West versus East paradigm had expanded deeply into Asia. Fleming shared the worldview of an expanding struggle between the West and the East; capitalism and democracy versus communism and totalitarianism. He held a strong belief in Anglo-American moral righteousness and superiority in such a competition but he was able to recognise that the Cold War was a more complex and nuanced phenomenon than a bipolar struggle based on competing ideologies. He was aware of the cracks emerging in the bi-polar model for, after all, he did have an insider’s view, and he imbued James Bond with an understanding of the complex nature of the post-war world. China with its growing power and influence, therefore, should have been a very real concern, but it wasn’t. Perhaps Fleming initially didn’t want to disturb or complicate the logic of a bi-polar Cold War. Perhaps he saw China, at this time, simply as another client state of the USSR, or perhaps, even as other world events and relevant issues leaked into his plots, he thought there wasn’t interest among his audience for a China based storyline. As the Cold War evolved Fleming began to expand plots that depicted a global power struggle that went beyond mere ideology. He introduced villains to encompass non-state agents, presciently created global terror organisations, catalogued shifting alliances, and even warily embraced a subtle détente. As Fleming searched for villains outside of the Soviet intelligence agencies it would have been easy to look to China at a time when Chinese power was inspiring anxiety. Yet Fleming continued to all but ignore China in his plots even as it continued to evolve on the world stage. He did, however, obliquely recognise its accession to great power status in ‘The Hildebrand Rarity’ (1960) when the rather repugnant American Milton Krest explained to Bond that the US, Russia, and China are the only world powers of any consequence. Even 1964’s 'You Only Live Twice', which is set in Japan, finds Bond concerned more about the UK’s almost non-existent role in the region that the threat posed by China. Indeed, it is the purported threat from the USSR that holds the focus of Japan and the allied western powers. China gets a nominal mention as a power only worthy of the attention of MI6’s Hong Kong station and not the combined resources of the Anglo-American-Japanese intelligence agencies. By the time the first Bond movie was made, China’s growing world power status was part of Anglo-American geopolitical thinking. Through the 1960s “Red China” was often glimpsed in Bond movies lurking in the background as a malevolent force bent on destabilising the West through surrogates. Although a SPECTRE operative in the eponymously titled 1962 movie, Dr. No is half-Chinese, his minions appear Chinese, and there’s a sense that he must have learned his nuclear engineering from Chinese state agencies. It is China who provides Goldfinger in the 1964 film with his atomic bomb and the scientist to arm it. Then, in 'Thunderball' (1965) SPECTRE cosies up to the Chinese in order to distribute Chinese narcotics across the US and it is the Chinese who contract SPECTRE to hijack US and Soviet spacecraft to heighten cold war tensions in 'You Only Live Twice' (1967). But, like the novels, the movies, partly due to EON’s desire to limit overt geopolitical references, find China only tangential to the core plotting. The reality of China’s growing influence and confidence as a power, however, was obvious. China exploded its first nuclear weapon in 1964 exacerbating fear in the West. China's nuclear ambitions also further added a degree of verisimilitude to the plot of Goldfinger. Then by the end of the 1960s China had exploded its first H-Bomb, was supporting fellow communists in the Vietnam War, and its long-time coming break with the Soviets became increasingly obvious as both countries clashed over disputed borders. By the end of the 1960s China had clearly signalled its position as an independent great power. 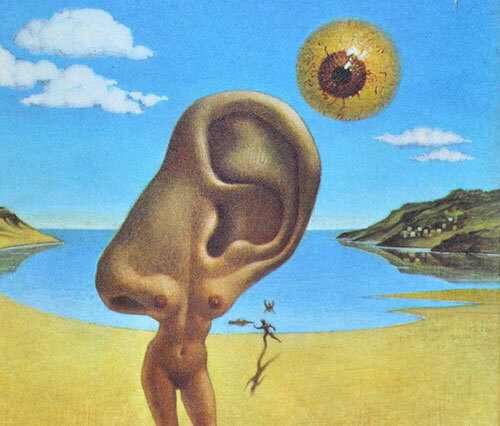 This fact is perhaps recognised in the plot of the first continuation novel, ‘Colonel Sun’ by Kingsley Amis, which involved a Chinese plan to kidnap M.
ABOVE: Dali-esque art for the Colonel Sun book cover. Through the 1970s EON continued to obliquely note China's ascension to great power status. The 'Diamonds Are Forever' (1970) incarnation of Blofeld used his orbiting laser in an attempt to extort the great powers which he described as being the US, the USSR, and China. Like Krest before him, Blofeld relegates the UK to secondary power status. Regardless of its great power status though, like many in the West, Eon still viewed China with a dark suspicion. In another brief reference to China, this time in the 'The Man With The Golden Gun' (1974), we see China willing to utilise and support criminal surrogates, this time Scaramanga, in its continuing effort to destabilise the West. Then, inexplicably as China continued to expand its role on the world stage it disappeared from the Bond cannon for nearly 25 years. So much so, that in this intervening period, Bond appears to have forgotten his linguistic ability. In 1968 Bond noted to Moneypenny that he has a degree in Oriental languages but by the 1990s he can no longer read the Chinese characters on Wai Lin’s keyboard. China returned as a major plot point in 'Tomorrow Never Dies'. A South China Sea “skirmish” between the HMS Devonshire and Chinese jet fighters results in the Devonshire’s sinking, a downing of a jet fighter, and a serious exacerbation of Sino-British tensions. Blaming China, the UK responds in an aggressive show of force by sending a fleet of warships while China girds itself for potential conflict. Yet the real villain is the megalomaniacal media baron Elliot Carver who stage managed the initial incident in the convoluted hope that he would end up with an Asian media monopoly. Again, China isn’t really an integral player in the plot, providing little more than a geographical backdrop to the movie’s narrative. There is one important Chinese focused plot element, however, and that is the collaboration between Bond and Colonel Wai Lin, an agent of the Chinese People's External Security Force. Competent and professional, Wai Lin personifies a new China interested in collaborating with the West when mutual interests coincide especially in an effort to maintain regional and global peace and security. In many ways, Wai Lin personifies the growing detente between China and the West. 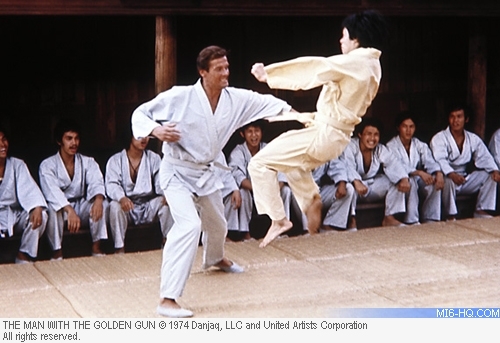 Although we see a growing mutual respect between Bond and Wai Lin, to the point we view the Chinese agent almost as Bond’s equal, we continue to be exposed to the unbalanced and unrealistic power dynamic between the UK and China. The movie over-inflates the UK’s power projection while understating the power and influence of China. Yet, such a conceit, of course, is a traditional part of the Fleming and Bond cannon. 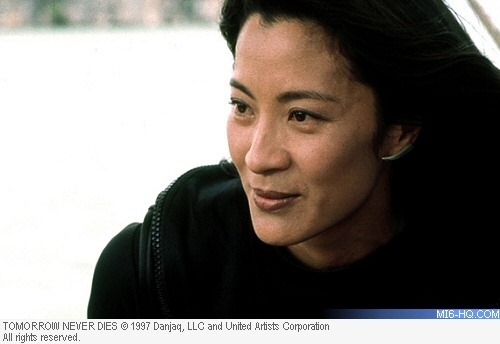 Bond’s cooperation and collaboration with China or, at least, with the Chinese People's External Security Force continues on in 'Die Another Day' (2002). After initially trying to spring a honey-trap on Bond, Hong Kong based Chinese agent Mr. Chang cooperates with Bond providing the Brit with money, a new identity, and information when Chang realizes Bond is chasing a mutual enemy. The audience glimpses a further nod to China’s global status through a quick reference to China’s increasing power and confidence when Chang asserts that Hong Kong is China’s turf. 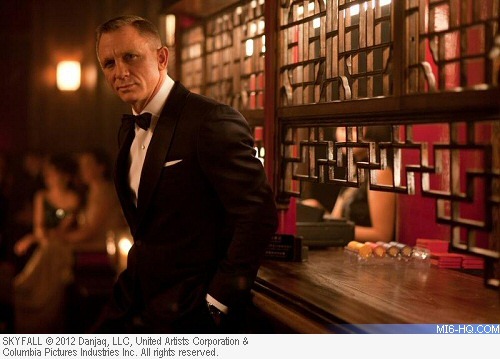 Bond enters China’s turf proper in 'Skyfall' (2012). He travels through Shanghai and Macau chasing villains and information. But, again, China is a filmic background, almost tourist exotica, rather than a character in the plot. These more recent representations of China tend to note its status as a global economic power as seen through the rather passive backdrops scenes set in Shanghai and Macau. There is, however, one scene that exposes an underlying tension between China and the West, once again, through an oblique reference. 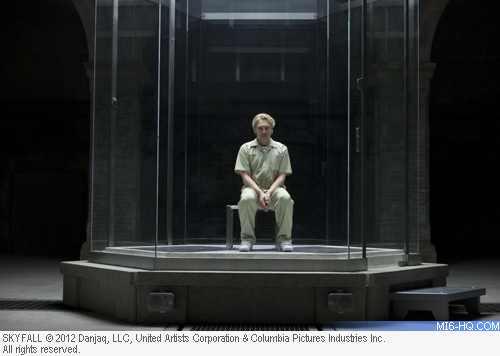 ‘Skyfall’ villain, the former Hong Kong-based MI6 agent, Silva, notes that he was tortured by the Chinese authorities. Yet the impact of the statement it somewhat diminished when we realise that it was M who coldly traded Silva to the Chinese and that, in the post-911 environment, it is not just the non-democratic governments who torture perceived enemies. In many ways, therefore, the Bond literary and filmic canon’s representation of China reflects the country’s growing position on the global stage from dangerous, closed state to the world’s second largest economy with the concomitant power and influence that goes with that position. Yet given Chinese growing importance on the world stage, its absence as a major plot point or backdrop for more Bond films is increasingly dissonant. More so when we take into account that China is now the biggest single overseas box-office for Bond movies with 'Skyfall' and 'SPECTRE' (2015) breaking Chinese box-office records. EON and its sponsors are also very aware of the financial inducements of the Chinese marketplace. Aston Martin, for example, believes the growing popularity of the Bond brand in China will increase their sales there. Other Bond-allied luxury goods manufacturers also want a greater role in feeding the Chinese appetite for western luxury goods. Although the character of Bond himself has transnational ubiquity, for most country’s sagas are built around the lone outsider who with a potent mixture of courage, morality, and righteousness acts as a saviour and a force of good, Eon will want to add additional Chinese elements in future movies. The Bond audience can, perhaps, watch out for more plot points involving China, more Asian actors, or Asian location shoots that will further serve to define a closer relationship between Bond and his Chinese audience. However, EON will have to juggle plots based on resonant issues involving China’s geopolitics carefully ensuring that any plots will carefully circumvent any major censorship from Chinese authorities. And there has never been a better time, for with some growing tensions over power projections across the South China Sea, perhaps Bond can, once again, be a force for détente.